For over 25 years, the French chef behind the scenes has been making his favorite dishes and yours for events throughout the area. As a pastry chef master, this artist refined his culinary art when he moved to the states. With such skill, he can provide a gourmet touch to any dish you would like. This company and its team know the importance of your wedding day and thus want to provide you with cheap and worry-free meals for you and your guests made from scratch. Kingsley Meats & Seafood has been a staple in the local restaurant community since 1971. Since growing immensely in popularity, the owners of the establishment were forced to create Kingsley Catering due to the immense popularity and demand for their affordable dishes at private events and catering. This small shop now serves some of the biggest weddings in the area. They not only offer a free tasting for the couple before the day, but a beautiful complimentary spread of vegetables, dips and crackers. 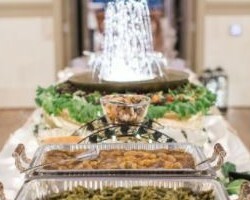 Gracious Plenty Catering LLC is known in the community as the friendliest and most professional catering company in the area. The highly trained staff and chefs work to design not only the menu but the entire event to make your wedding day as stress free as possible. In addition to catering wedding receptions, this company also serves corporate lunches, family BBQs and any other event you have where serving great food is a must. 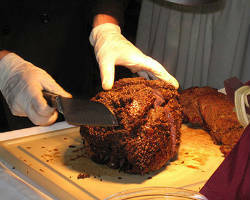 Top culinary skills and service to match make this caterer a clear choice for any event. Flexibility and service are two things Ladyfingers Catering pride themselves on. With a tradition of hospitality, they welcome you and your guests with warm and fresh dishes. The professionals work with you to create a menu you will love. As they are flexible, they will undoubtedly provide whatever will make your life easier with a professional touch. Whether you want a crawfish buffet or Mexican food, this caterer can do it all. Calling them soon is a must as their popularity grows. 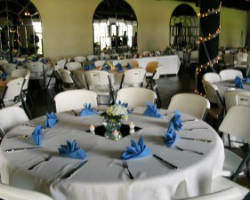 Victoria’s Catering is a custom Louisville catering service. You first arrange a private tasting. This gives you the chance to taste some of their most popular dishes, and give the team direction on the kind of food you would like. After this consultation, they custom design a menu for your wedding reception. When you book with this company, you not only get a free tasting consultation, but also free cake cutting service on your wedding day, free referral service and a free food package for the couple when they leave. 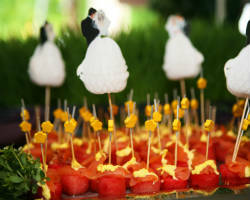 Some catering companies are linked to venues and others are linked with specific events planners. This can create a disastrous combination or a harmonious pair. For The Catering Company, which is a division of Michaelis Events, the latter is true. 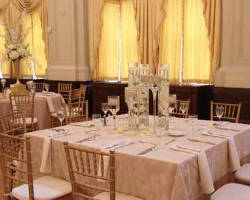 This Catering Company is the result of the events team seeing a gap for local caterers to provide flawless service. Since the food service will be done in collaboration with your entire event, you can be sure that everything coordinates and the day goes off without a hitch. 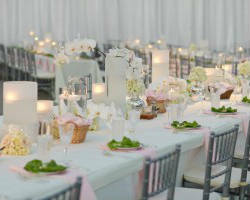 The Silver Spoon is a premier upscale catering company in Kentucky. 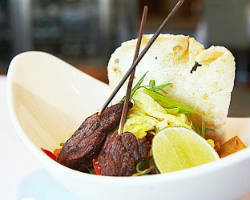 They make gourmet dishes with impeccable style and flavor. In an attempt to make each event unique, they customize your menu and serving style to better suit you. For 20 years, this company has been serving large wedding receptions and small private events with the same amount of grace. In the last few years specifically, Louisville Magazine has recognized this company as the best caterer. You can, therefore, be assured of their high quality.